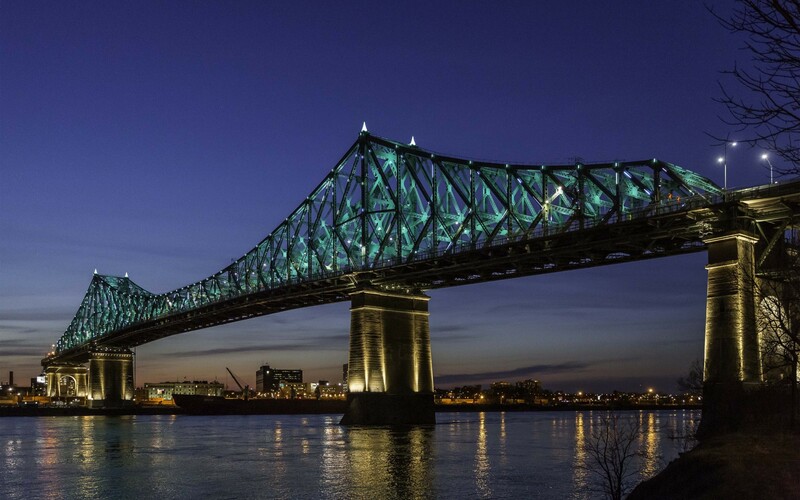 Lumenpulse luminaires were stars of the show, dynamically lighting the heart of the Jacques-Cartier Bridge's in celebration of Montreal's 375th anniversary and the 150th anniversary of Canada's confederation. The most important feature was the 3G vibration rating and knowing with certainty that the products’ performance would withstand the constant vibrations of the passing traffic. 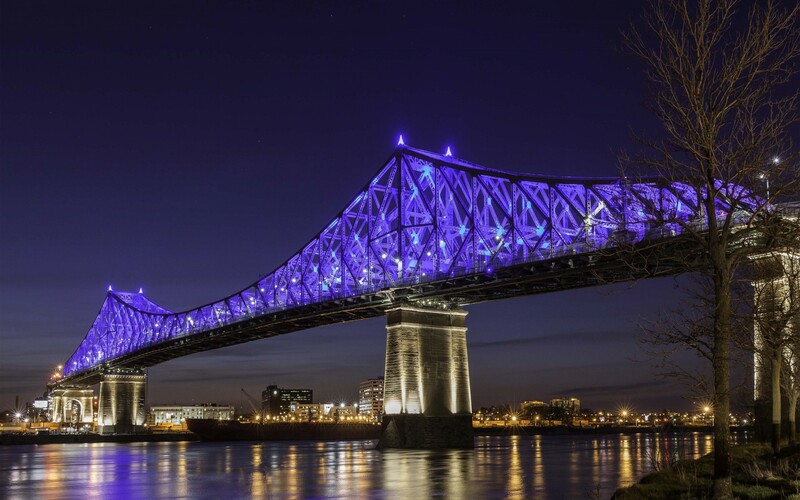 The Jacques-Cartier Bridge came to life with a new lighting design, named LIVING CONNECTIONS, as part of Montreal's celebration of the 150th anniversary of Confederation and the 375th anniversary of Montreal. 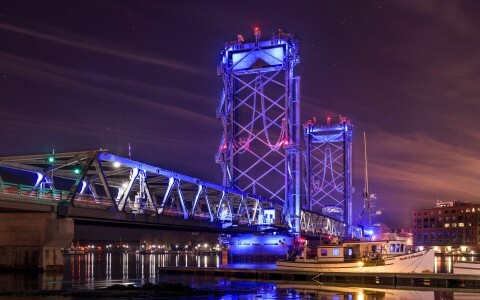 For LIVING CONNECTIONS, Quebec Lighting designers collaborated with a single purpose, creating an installation that will be enjoyed by all for the next 10 years and beyond - a truly unique feat in their industry. 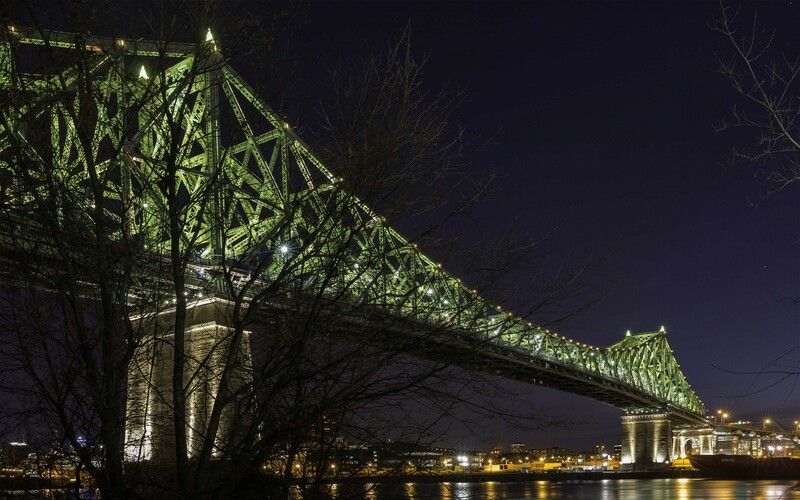 The Jacques-Cartier Bridge's artistic concept was created by Moment Factory in collaboration with six other Montreal-based multimedia and lighting studios: Ambiances Design Productions, ATOMIC3, Éclairage Public/Ombrages, Lucion Média, Réalisations and UDO Design. 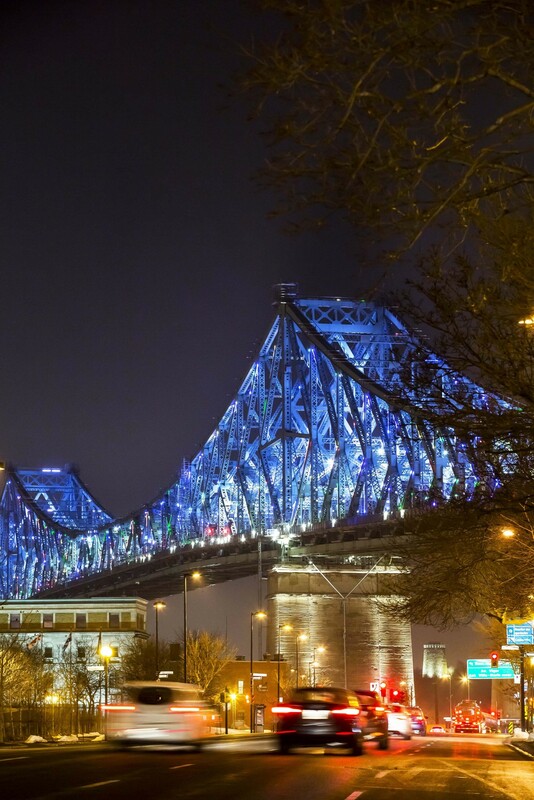 "The collaborative effort from all involved, most of them local to the Montreal area, was a unique experience for the illumination of the Jacques-Cartier Bridge. Each party brought a unique contribution which led, ultimately, to an incredible end result" said Gabriel Pontbriand, Creative Director and Lighting Designer at Moment Factory. 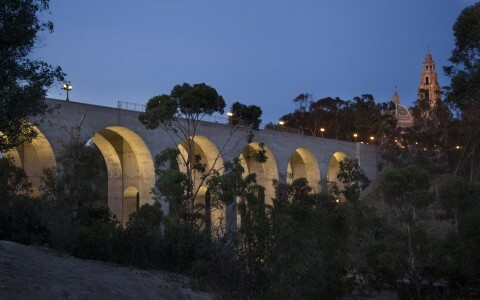 Among the two manufacturers tasked to light the bridge, the lighting design used approximately 95 high-performance Lumenpulse Lumenfacade luminaires to light the bridge pillars, while approximately 480 durable, high-output Lumenbeam LBX luminaires, carefully concealed from view within the structure, set the interior of the edifice aglow with a uniform wash of color. "In our eyes, the fixture's performance, mix of colors and optics along with great industrial design made Lumenpulse the clear choice for this project. 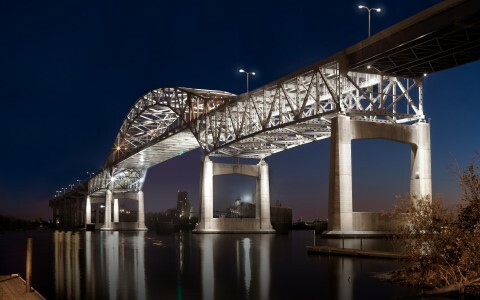 The most important was the 3G vibration rating and knowing with certainty that the products' performance would withstand the constant vibrations of the passing traffic" said Pontbriand. 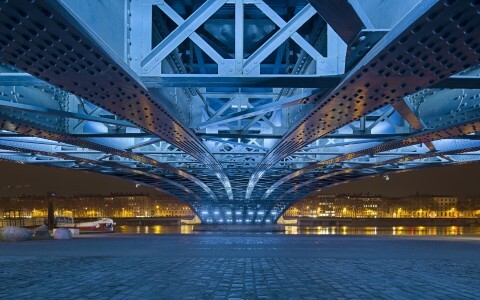 In many ways, the lighting design reflects the life, environment and spirit of Montreal itself. 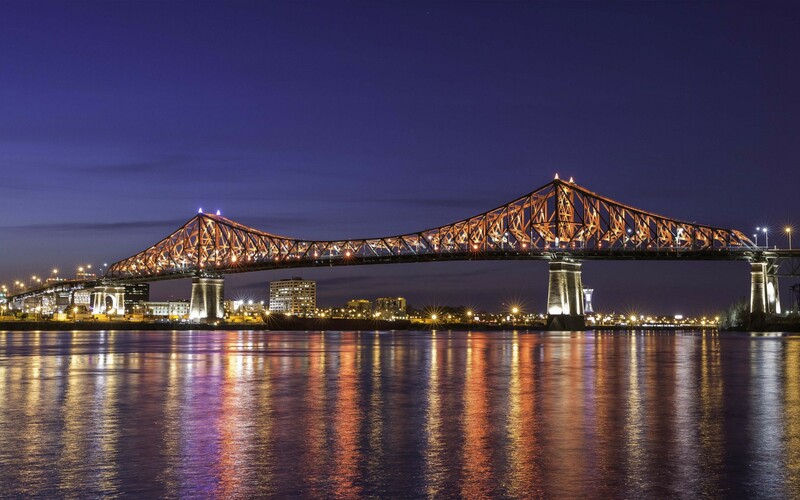 The lighting control system gathers data from the city, utilizing the weather, traffic and tweets, and then reflects them back to Montreal in real time via changes in the color and liveliness of the bridge's lighting. 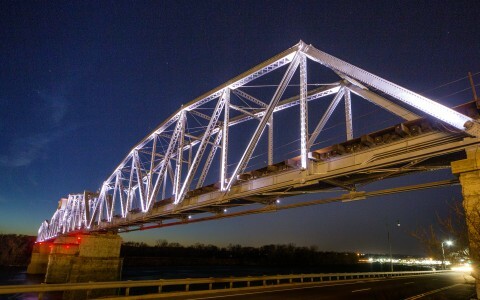 The knowledgeable service Lumenpulse provided was essential throughout the installation and programming phases of the bridge's illumination. "Knowing that Lumenpulse was there, even in the late nights of on-site programming was indispensable," said Gabriel Pontbriand. 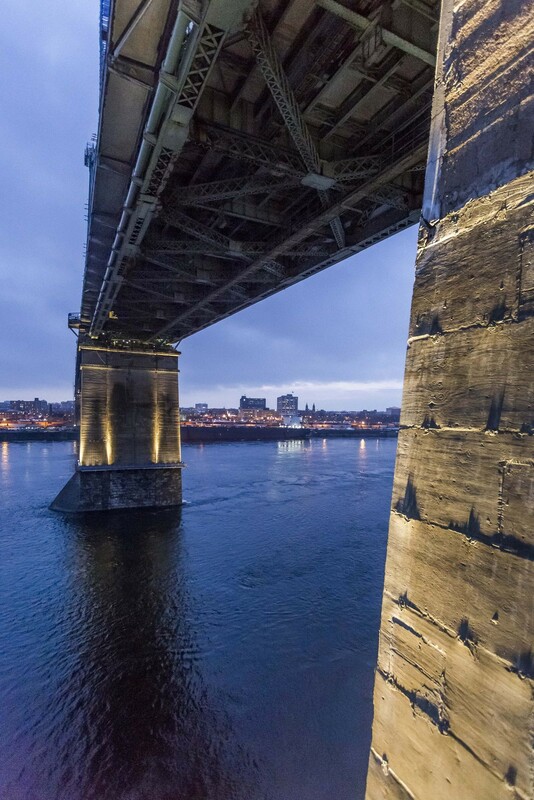 Thanks to this collaboration between a number of high-profile local design studios, the Jacques-Cartier Bridge now joins the growing constellation of illuminated Montreal landmarks which use Lumenpulse luminaires, including: Place Ville Marie, the Mount Royal Cross, the Biosphere and the Montreal Olympic Tower.